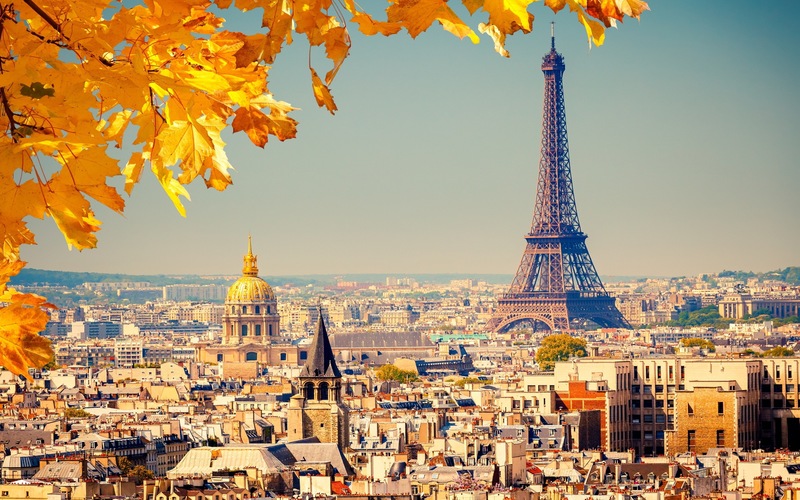 Autumn in France: Where to go? When schools re-start at “la rentrée” and the tourists leave, it’s autumn in France. Summer vacation is over and France returns authentically to the French. It’s the perfect time to visit! 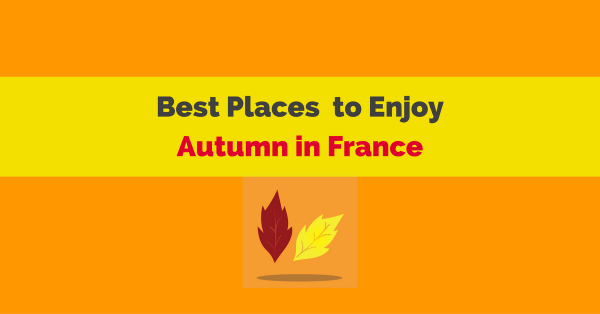 Here are places in France that will make you “fall” in love with autumn! When is a good time to visit Paris? Any time. But autumn is especially great because it’s finally full of Parisians again, all going about their business as usual. Since the horde of tourists have mostly gone home, it’s less crowded and less expensive to see famous monuments. A perfect time to take a drive around L’Arc de Triomphe, walk a tour of the tombs inside The Panthéon or take a glance up into the awesome heights of the Eiffel Tower–all architectural delights. You’ll find the sites memorable and informative, and the crowds manageable. Qatar Prix de L’Arc de Triomphe: France’s “Kentucky Derby” occurs on the first Sunday of October typically at the Longchamp Racecourse, except for 2016, where it will be held at Chantilly racecourse during the one year renovation period. Paris Techno Parade: a fun, crazy mobile techno music festival that parades through the streets of Paris. Dance and party! But to relax and enjoy some of Paris away from the more popular sites, enjoy a café au lait and people-watch outside one of the many bistros along the tree-lined Champs–Elysées. Or you might walk the streets of hip Belleville’s bustling flea markets after roaming the bohemian Latin Quarter for an eclectic feast of art and food. You might even find yourself leisurely reflecting on the cultural imprint of Sartre and Camus as you walk through this bustling intellectual quarter. To truly delight in the splendor of France’s pallet of autumn colors, take a road trip through miles and miles of vineyards along the hills and valleys of this rich, historic region. The golden amber and orange, brown and rust hues dance in your eyes through the vines, trees and forests surrounding majestic castles. Château Ussé: surrounded by rich forest and meadows, is the inspiration for the castle in Sleeping Beauty. 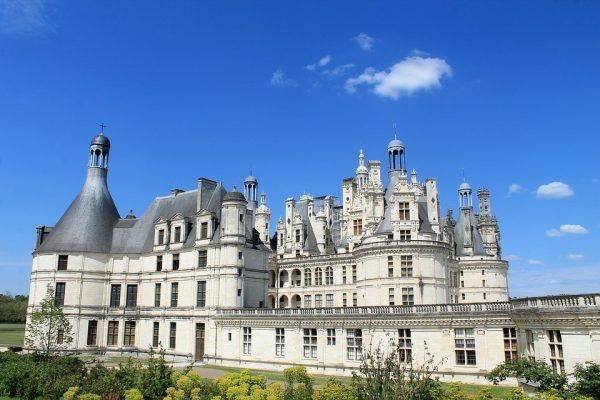 Château de Chambord: rumored to be designed in part by Leonardo da Vinci, this blend of Renaissance and Medieval features was built by King Francis I of France as a boast of his lavish wealth and power. Château d’Amboise: where Francois I was raised, Charles VIII died after hitting his head, and Leonardo da Vinci is buried, housed many famous historical figures, including Henry II and Catherine de Medici. For fun, celebration and festivities, enjoy the Light Show at the Cathedral at Tours with its enormous organ consisting of 5298 pipes, or mingle in the crowds of the Festival de Loire in late September to see the largest assembly of boats at Orleans. Enjoy popular beaches and tourist spots unfettered by tourists. Until late October, it’s still warm enough to take in the sun. Strolling along the water or sun bathing at The French Riviera are both great ideas. No visit to the south is complete without a tour of Provence, famous for glorious countryside and home of rich foliage and fresh herbs and spices. Visit the impressive great river valley gorge of the region, Gorges du Verdon to experience the full splendor of the season’s changing leaves. Basque country music festival: In southwestern French Basque country in October, eat, drink, and dance after you sample farm produce from the locals, especially the red peppers known to the region’s cuisine. Tour of Carcassonne: Even if you miss the late summer musical festival of renowned artists, you still want to walk this fortified medieval city dating back to ancient Rome for the history, quaint shops and eateries. Off the beaten path, you might take the 50 kilometer Little Yellow Train ride. Starting at the Eastern Pyrenees, in Perpignan, to the Spanish border, view the spectacular natural landscape from ski summit to valley fortresses. 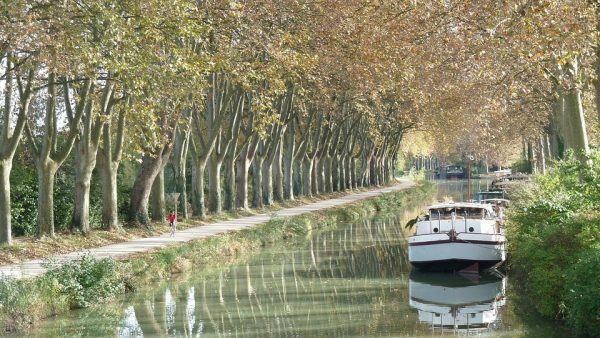 Or take a barge cruise through the Canal du Midi where you might dock and ride a bicycle to a small village café for breakfast. Find cooler temperatures on France’s historic northern beaches marked with British-French history. In Normandy, trace the D-day battle in an emotional tour of the site’s liberation, learn about Joan of Arc at Rouen, or tour the university at Caen. 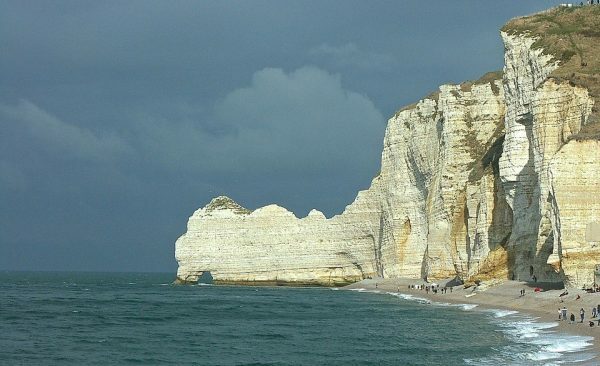 And just to the northwest, find Brittany’s rugged, rocky, dark, cliff-lined beaches distinct from Normandy’s chalky cliffs. Some of the most stunning sandy coves offer breathtaking views of north coast beaches named for emerald, jade and pink granite vistas. After the beach, you might catch a day of the two-week traditional French Music Festival of Lanvellec. It features the famed Dallam’s Organ, dating back to 1653. The admirable mastery of ancient instruments will fill your imagination with Medieval and Renaissance France. Often thought of as largely industrial, the north offers lesser known refined pleasures such as fine dining in romantic brasseries in Lille or the awe-inspiring spectacle of nature, such as the white cliffs and arches at Étretat. What could be more serene than sitting lakeside at Château Chantilly in the Picardy region amid the Chantilly Forest? Inside the castle, you’ll find memorable art treasures in porcelain and paint. Autumn, with its spectacular array of color crisped by cool weather, is the perfect time to visit France to know the French. There’s no better place for pure color and diversity in regions, people, art, history, music, architecture, food, fun, celebration and culture. Like this post? Make sure to share it with your friends and family! 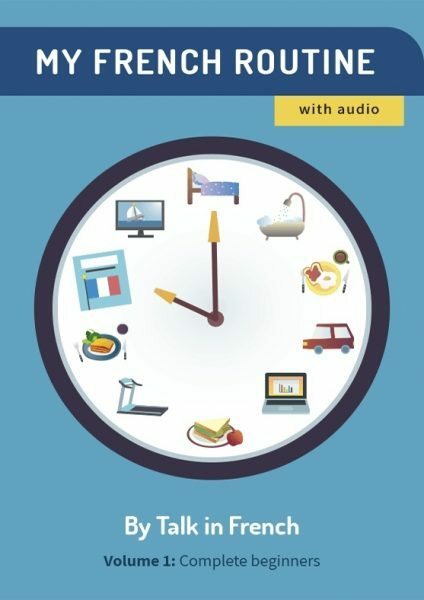 When travelling around France, take this e-book with you. Available at the Talk in French Store. Quiz: Which Region in France Fits You Perfectly?